Digestives were first developed in the UK by two Scottish doctors to aid digestion. In 1892 the first and original 'Digestive' biscuit was produced by McVities, the secret recipe of which is still used today. The biscuit contains coarse brown wheat flour, which lends its distinctive texture and flavor. Digestive biscuits are frequently 'dunked' with tea or coffee and then eaten quickly before it disintegrates. In the UK, McVitie's Digestives is the best selling biscuit, with 80 million packs sold per year. Hobnobs was launched in 1985. They are made from rolled oats and jumbo oats, a cross between a flapjack and digestive biscuit. 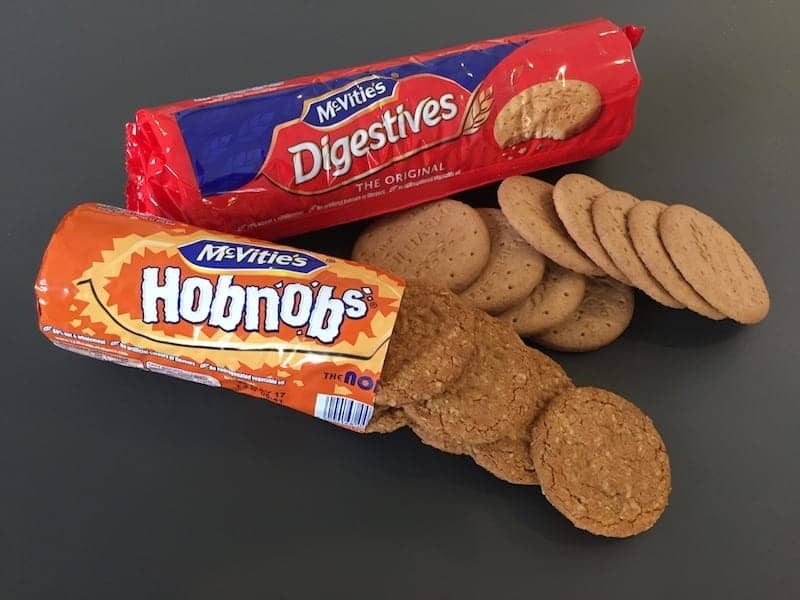 Hobnob is the third most popular biscuit in the UK to dunk into tea.